Pioneers in the industry, we offer siemens flame detector qra53.c27, siemens flame sensor qra2, siemens flame detector qra2, landis & gyr photocell rar7, siemens photo cell qrb1 and satronic uvz 780 photo cell from India. Combustion & control systems, Mumbai one of the best source for Siemens burner photocells, Siemens U.V. 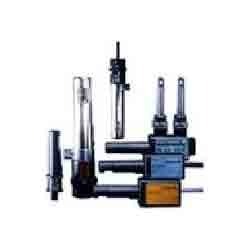 cells, Siemens flame sensor, Siemens flame detector, Siemens control box, Siemens servo motors etc.. Combustion & Control Systems, Mumbai one of the best source for Siemens combustion controls, We import and supply Siemens burner controllers, Siemens burner photocells, Siemens burner control box, Siemens servo motor, Siemens air damer motor, Siemens flame sensor, Siemens flame detector, Siemens u.v.cell, Siemens photoresistor etc.. Combustion & Control Systems, Mumbai import and supply Siemens Flame sensor Qra2, Siemens Flame detector Qra2, Siemens photocell Qra 2, Siemens ultraviolet cell QRA 2, Siemens u.v.cell Qra2, Landis & Gyr Flame sensor qra2, Landis & Gyr flame detector Qra 2, Landis & Gyr U.V.CELL Qra2, Landis & Gyr photocell Qra 2 etc. Combustion & control systems, Mumbai offering all Siemens make photo cells keep in stock. We offering following models as per customers requirements. QRB1, QRB3, QRC1, QRA2, QRA10.C, QRA10M.C, QRA50M, QRA53, QRA51M, QRA55, RAR7, RAR8, RAR9, LFE10, LAE10, LFE50, etc. Combustion & Control, Systems, Mumbai offering Siemens make photo cells are in stock at very reasonable price. We have Following Siemens make photo cell are in our stock. We are renowned in providing Satronic UVZ 780 Photo Cell and are available in various dimensions and offers excellent output. These photo cells are manufactures using advance technology and highly used by our clients for their unique features. 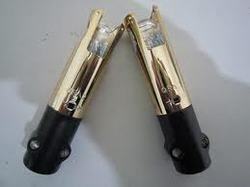 They are known for their features like longer service life and excellent performance. They are available to our clients at affordable prices. Satronic UVZ 780 Photo Cell Combustion & control systems Mumbai are renowned in providing Satronic UVZ 780 Photo Cell and are available in various dimensions and offers excellent output. These photo cells are manufactures using advance technology and highly used by our clients for their unique features. 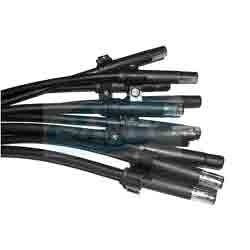 They are known for their features like longer service life and excellent performance. They are available to our clients at affordable prices. Combustion & Control Systems, Mumbai offering wide range of Petercem Ecee Burner products for THERMAX Boilers. 8205 photocells to be use with Petercem Ecee burner control model MA 810. 8300 Ecee make UV Detector and Petercem Ecee gas burner controller model GU336. 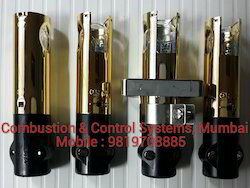 Combustion & control systems, Mumbai providing Flame Sensors & Photo Cells to our customers at wide range. These include Landis & GYR, Siemens UV Cell QRA 2, Satronic Photo Cell MZ 770S, Satronic UVZ 780 Photo Cell, Satronic and Honeywell Photo Cell, Riello Burner Photo Cell. These are made in accordance with domestic and international quality standards. Our products are tested by our team experts and on various parameters like efficiency and standards quality. These are available to our clients at reasonable prices. Combustion & control systems, Mumbai offering Landis & GYR UV Cell QRA 2 is available to our clients and offers efficiency and flexibility. 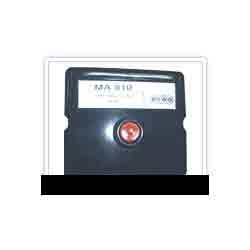 These cells are offered with proper packaging and available with different dimensions as per the requirements of the clients. These are strong in body construction and provide excellent performance. These are available to our clients at economical prices. 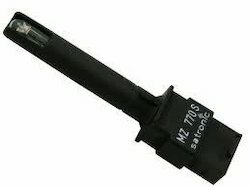 Combustion & control systems, Mumbai offer superior range of Satronic Photo Cell MZ 770S to our clients at normal range. These cells are fabricated using best quality materials and provide excellent performance. These are reliable quality product and highly in demand for their unique features. These are easily fitted to the equipment and can be availed to our valuable clients at reasonable prices. 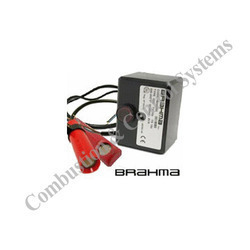 Combustion & control systems, Mumbai Kepp following Brahma make photo cell in stock. FC7, FC8, FC11, FC13, UV1, UV2, RE3,etc..
Flame Sensor, Flame Detector, Flame Rod, Ionization Probe For Ecoflam, Baltur, Bentone, Riello Etc.. 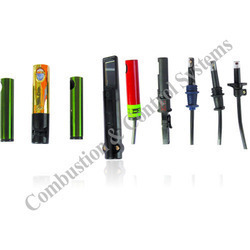 Combustion & control systems offering oil and gas burner and spare parts. 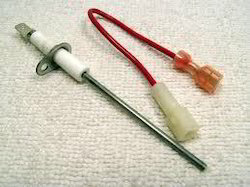 We offer Flame rod, Ionization probe, Flame Sensor, Flame detctor for oil and gas Burners. We supply everything for Ecoflam, Bentone, Fbr, Cuenood, Weishaupt, Baltur and indian burners also. 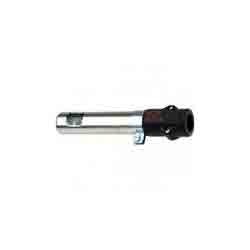 Siemens QRI 2B2 - Infrared flame detectors for LMV51 & LMV52 Infrared flame detectors for use with Siemens burner controls for the supervision of gas, oil or coal flames. This burner flame detector is suited for any type of burners, either in continuous and intermittent operation. Weishaupt burner from Germany regular use this Siemens flame detector model QRI B2B. Satronic ultraviolet flame detector UVZ 780, available in red and blue , white colours denote the flame monitoring control with which they should be used and for varying sensitivity 240v or 110v use. 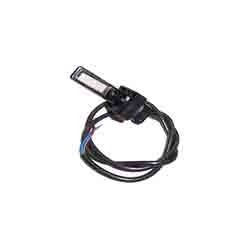 Looking for Flame sensors and photo cells ?